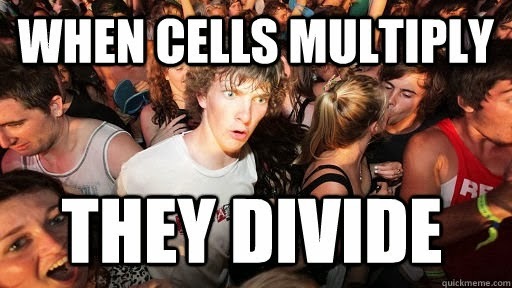 In humans, mice, and most other mammals, cells naturally grow and divide repeatedly. To avoid their multiplying out of control, cells stop dividing when they get too close to other cells, a response called contact inhibition. Cancer causes harm when the infected cells forget to stop dividing, so they clump together to form tumors. One line of cancer research focuses on stopping cells from replicating. 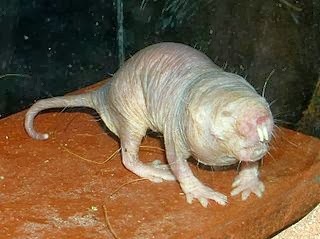 Researchers at the University of Rochester in the US discovered that the cells of naked mole rats do just that. Their cells don't get as close to one another as human or mouse cells do, and they stop dividing at greater distances from neighboring cells than ours do. The researchers grew the naked mole rat cells in liquid in a petri dish (remember those from biology lab? ), and they also discovered that after a few days, the cells turned the liquid to a gooey syrup. Every time. When the researchers took the goo out of the dish, the remaining cells would clump together just like ours do, suggesting that they might now form tumors. So, what is this magic goo? The naked mole rat's secret to cancer resistance is sugar! No, you cannot go grab a cupcake in the name of longevity. This one is a special type of sugar called hyaluronan that works like a lubricant in the spaces between cells. We, mice, rats, and other animals also produce hyaluronan (call it HA), which works like a stretchy gel to maintain our skin, joints, cartilage, and other connective tissues. The form of HA made by naked mole rats has a much longer, more complex molecule than the HA we and other rodents produce. The naked mole rats also produce it in higher concentrations than we do. Scientists studying them believe that the high concentration of HA evolved in naked mole rats to keep their bare skin stretchy so they can move easily within their underground tunnels, and the cancer resistance it also had was a great side-benefit. I talked a lot about mice in the last couple of posts, because they are the heroes of laboratory research. One reason for their popularity is their fast generation time - they almost never live more than 4 years. Larger animals (think elephant, whale, rhino) tend to live longer than smaller ones like mice, with a few exceptions. We're one. And so is the naked mole rat. 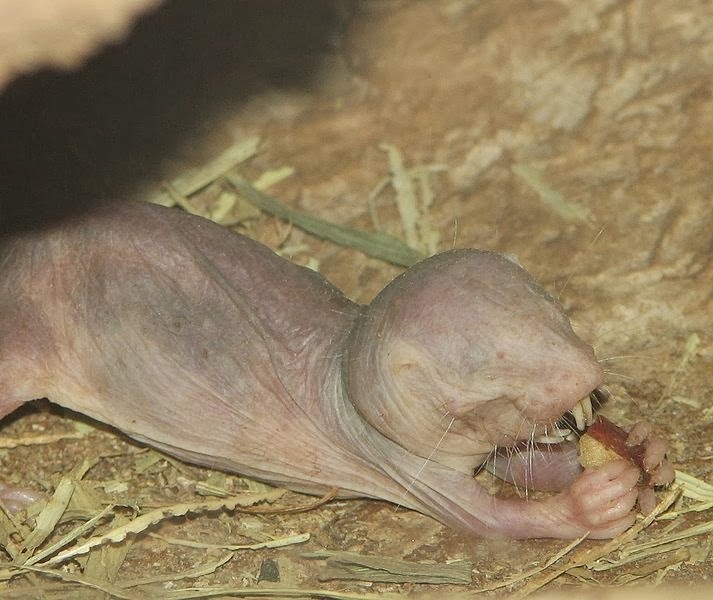 Naked mole rats are about the same size as a mouse, but live eight times as long. So they have plenty of time to develop tumors - but they don't! Not only do they live long, they live well. They maintain their youthful vigor throughout their lives, rather than becoming frail as they age like most animals do. Sigh. They are already wrinkly, so you might not notice, but in addition to producing a special sugar that coats their cells to prevent tumor formation, they also make a mean protein. Like other animals, they are made up of proteins, and they seem to produce them with better accuracy than the rest of us do. These little guys are pros at forming new proteins based a template of genetic information carried by their RNA (this is a complicated process carried out within cells). 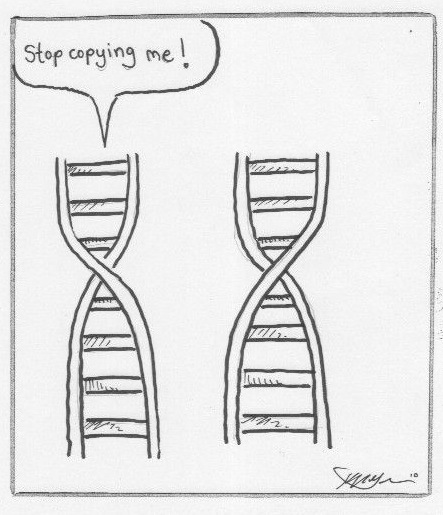 They "translate" (copy) the template into new proteins highly accurately so that each new protein is as well made as the last. German engineering, from a subterranean East African rodent. I hadn't thought about it, but apparently, even the most healthy among us, and even naked mole rats, produce some proteins that are damaged. When the wrong building blocks are added to a protein, it can take on the wrong shape and not do its job properly. When damaged proteins accumulate, the relevant organs or processes don't function as well, which is what aging is all about. As humans and other animals age, our muscles are weaker, our skin is less elastic, we don't process food as efficiently, and we don't heal as quickly. Naked mole rats thus have the ability to produce proteins at a higher fidelity to their RNA template, with fewer genetic "errors," than ours. The bodies of naked mole rats also get rid of damaged proteins faster than other rodents. Researchers suggest that building consistently better proteins and swift elimination of the bad ones may lead to better functioning over the span of their lives. "sabre-toothed sausages" - they don't change much, do they? This includes reproduction. 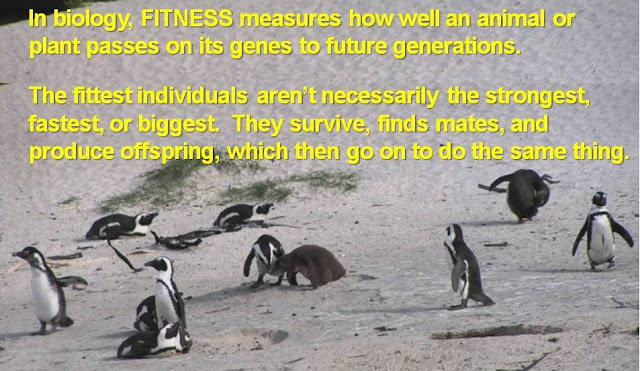 Biological fitness means passing on your genes to the next generation. 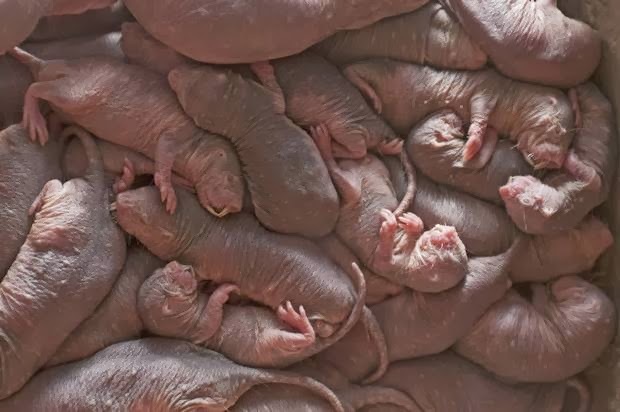 This requires living long enough to reproduce, reproducing, and, for most mammals, raising young who go on to reproduce, so the ability to live long and prosper till the end, in a harsh desert environment is the key to the naked mole rat's fitness.